The Android Market Apps store was released and established at the Google Android 3.0 Honeycomb event. From that time, there have been numerous applications which have been made available in the Apps store in Android Market. With the help of its smart Web Interface, it is possible now for you to install any of the Android Apps from the Android Market to your phone directly. 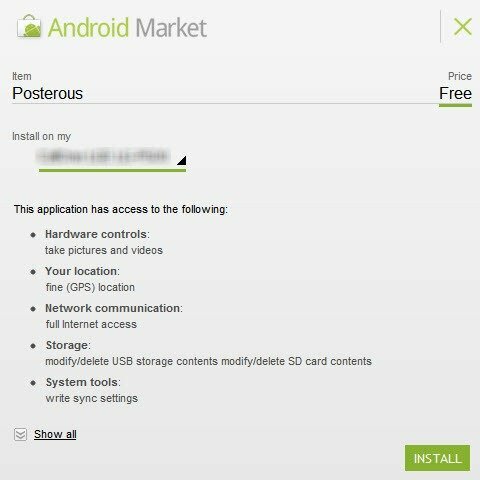 I was also not aware of this feature but after having installed an app named “Posterous”, I found out that it actually works fine. 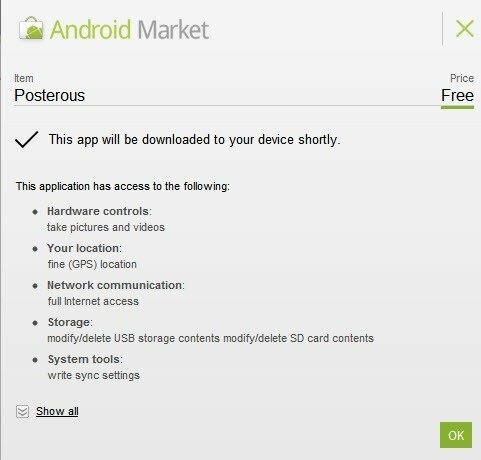 Here is a step by Step tutorial which would allow you as well to transfer any Apps from the Android Market store to your phone. Go to market.android.com on your Web browser and browse any of your favorite Android App. Find the app using the search which you want to install on your phone. If that particular app is available for free then you can install it using the “Install” button or else you might have to purchase it in order to install it. After this, Google will try to locate your Android Phone. If you are using Gmail app or any other Google services on your Android phone, them Google will find and display the phone name on screen along with the compatibility notifications about the Apps which you want to install. Now click on “Install“. After few minutes a notification will be displayed that your App has been downloaded and installed in your Phone. That’s it! Now with this tutorial you can enjoy installing App directly from the Google Apps store instead of going into the Android Market from your phone.